As a cold snap grips the country and heating bills come due, the allure of passive house buildings becomes clear. Warm in winter, cool in summer, efficient, efficient, efficient – passive house buildings warm our bodies and our spirits and are easy on our bank accounts. This year saw great leaps for the passive house standard, and Passive House Northwest ends the year with an impressive list of triumphs. In addition to welcoming new members to the PHnw family and beginning a new partnerships with the Zero Net Carbon Building Alliance and the Northwest EcoBuilding Guild, we presented two highly successful conferences. Our Spring conference in Olympia was a huge success with vendors from across the region showing off their new techniques and technologies and speakers providing informative and interesting presentations. We enjoyed great sponsors who were excited to participate in our conference and support the passive house standard. We also presented a second conference east of the Cascades, this year in Boise! This well-attending event featured a discount to non-members and introduced many new people to the passive house standard, including key City of Boise representatives. These events were successful, and our year was successful, because of our membership. Knowing there are so many people out there dedicated to elevating the idea of what a building and and should be keeps our organization going. Thank you! Please join us for another great year of Passive House Northwest by renewing your membership today, and marking your calendars now for the upcoming annual conference in Olympia. The ninth annual Passive House Northwest conference will be held March 29th and 30th, at the Hotel RL in Olympia, Washington. Please watch your inboxes for more information coming soon! Nationally recognized as a leader in the Passive House movement, Adam Cohen’s leadership in commercial Passive House design has made him a highly sought-after speaker, consultant, and teacher of advanced courses in Passive House ultra-low energy design and construction. His expertise has been featured at conferences and educational events around the world. Course limited to first 16 registered. Course offered in Vancouver, BC on following Monday and Tuesday, Jan 22-23. Course limited to first 16 registered. In this 2-day course, participants will explore thermal bridge modeling using Flixo to be able to understand the impact of design details on the energy performance of High Performance Buildings/ Passive House Buildings. We will first cover the concepts and protocols for thermal bridge modeling. Then, participants will have the opportunity to model several common thermal bridge types using Flixo, with guidance from the instructors. By the end of the course, participants will have completed at least two thermal bridge models. Thursday, Feb. 15, 2018, 2pm-6pm - Hear from our Panel of Envelope Professionals and Window Vendors. Then join the collaborative conversations to crystalize what you learn. Windows hold a key place in our homes and work places as they connect us to the outdoors, illuminate our daily life and protect us from heat and cold. How are thermal comfort, solar gain, cold air drafts, and heat loss managed by the physics of glazing, glass coatings, window frame design and window installation? Learn from major window companies how to plan and design for the future of your living space and whether you need new windows or want to restore and improve existing windows. Get a new outlook for your Window on the Future. A Professional from RDH Building Sciences present the principles of achieving high performance windows. Participation encouraged! Contribute your questions, creativity and knowledge. To reserve a spot go to: http://www.phnw.org/a-window-on-the-future. $19 in advance or $29 at the door; Register to ensure admission. More on our website: http://www.ecobuilding.org/events ; Talk with us on NW EcoBuilding Guild’s Facebook page. As building codes across North America gradually tighten requirements on the building envelope performance, the importance of mitigating thermal bridging is increasing. For instance, in the soon to be released update to the National Energy Code of Canada for Buildings (NECB), the thermal bridge effect of structural penetrations, shelf angles, anchors, and ties, among other elements, can no longer be ignored. For further course details and to register, visit our website. ZNCBA has more than twenty members in Washington state, including human services organizations, environmental nonprofits, and architecture and green building firms, all united in the need for better policy and tools to support zero net carbon buildings. ZNCBA is currently fiscally-sponsored by the NW Energy Coalition, but is led by a Steering Committee of members. This is a temporary contract position of up to 20 hours a week through December 2018. Additional funding could extend by the timeframe or increase the weekly hours. PHPP is a powerful design tool for creating high-performance buildings because it calculates the energy balance transparently and accurately. 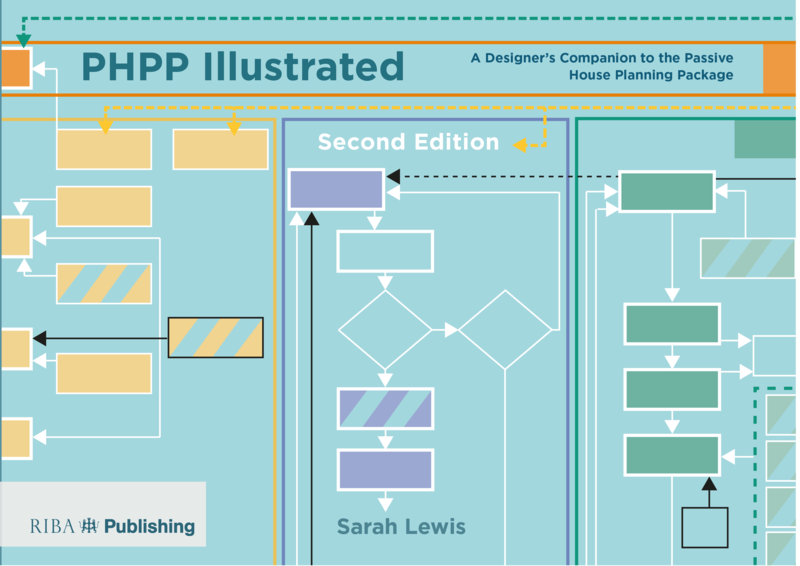 And PHPP Illustrated is an essential companion. This resource helps anyone learning to use PHPP or mastering it. Even expert users will want a copy to confirm their understanding---and to help them quickly guide less-experienced users with clear textual explanations and beautiful illustrations.